Jennifer has been in many relationships! The stunning looking star singer, Jennifer Lopez has had a long history of relationships. So far, Jennifer has been in three failed marriages, she seems to have a bad luck in finding the right man for herself. Will she ever find anyone? Jennifer is now a mother of two beautiful kids! Jennifer got married for the third time to another famous singer Marc Anthony in the year 2004. 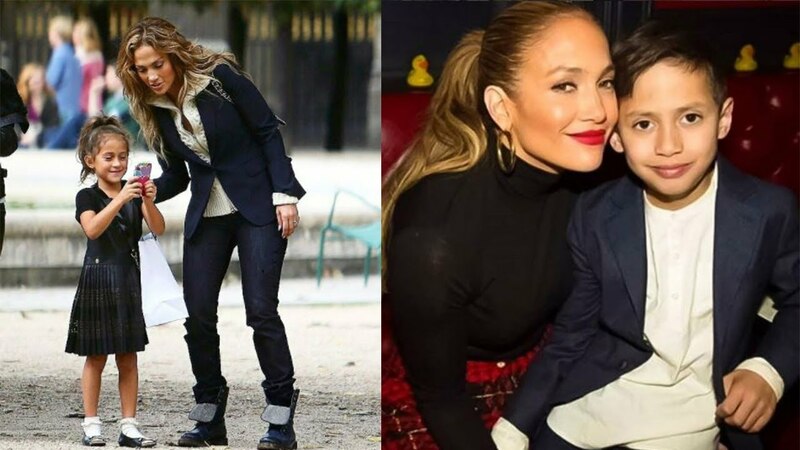 Jennifer had to beautiful kids with Marc, they even welcomed their two kids Maximilian David, and a daughter, Emme Maribel. After Jennifer’s third divorce with Marc Anthony in the year 2014, she was spotted going out with Alex Rodriguez on many occasions. After a year of dating, the couple made their first appearance in public during the red carpet debut as a couple for the 2017 Met Gala in May. Jennifer and Alex seemed to be hitting off really well with each other! Are they ready to take things further in their relationship? The couple was spotted checking out the shops in Miami’s posh Design District. The couple has been getting really close lately and it’s forcing the fans to observe and speculate if they are getting engaged soon or are they already engaged? in many pictures fans noticed that she was showing off a huge diamond ring.